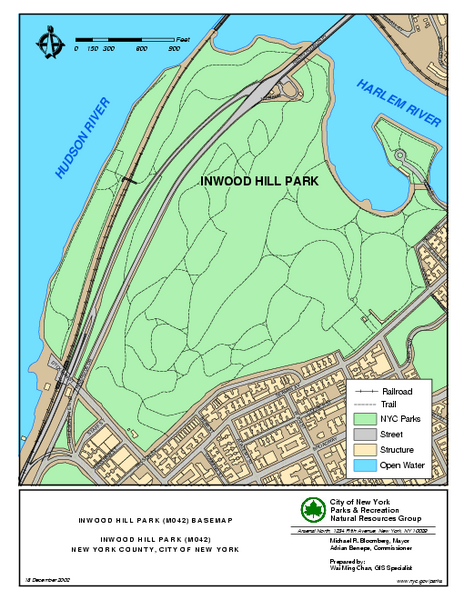 Trail map of Inwood Hill Park located at the extreme northern tip of Manhattan. 136 acres. 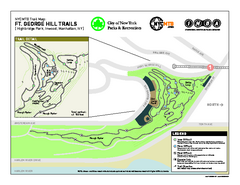 Park map of Inwood Hill Park in the Shorakapok Preserve, New York. 136 acres. 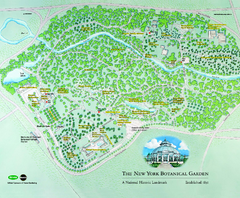 Official Map of The New York Botanical Garden in New York. Shows all areas and different gardens. Trail map of Van Cortlandt Park in the Bronx. Covers 573 acres.